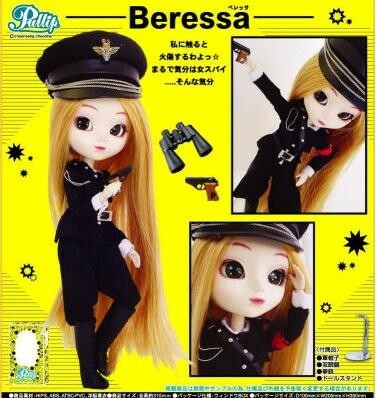 In 2005, Pullip Beressa was announced for a July release on May 10th but was cancelled on May 18th after backlash. 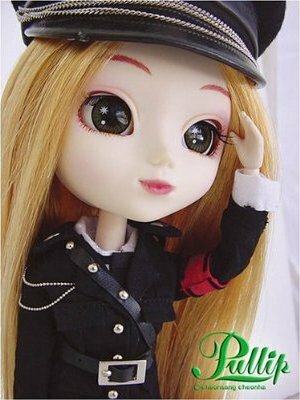 Jun Planning announced her as a lady spy Pullip but her outfit bears a strong resemble to Nazi uniforms which caused quite a bit of controversary among fans. Due to Beressa’s cancellation there never was a Pullip release for July 2005. Pullip Lan Ake was announced as a July release the day that Pullip Beressa was canceled; a color swapped version of Lan Ake, Lan Ai was later added to the release schedule. Beressa’s cancellation had a ripple effect which had a significant impact on the rest of 2005’s Pullip releases, the Lan twins who were announced to take Beressa’s place in the release schedule were initially announced as delayed until August on July 25th. On July 29th, the Lan twins were announced as being further delayed until September which means there were no Pullip releases for July or August of 2005. Additionally the announcement on July 29th also announced the delay of Pullips Summer Purezza, Rovam, Greggia & Latte were by one month . Feel Like So: You get burnt when you touch me!! I am more like a lady spy… Feel like this.